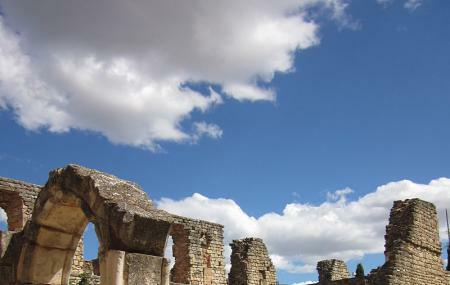 Find hotel near Abbaye De Fontcaude (bezi ..
A visit to Abbaye De Fontcaude is exceptionally rewarding and moving. A peaceful hamlet is built on the site of the abbey of which there remain only the church and a few outbuildings, including the oil mill (and other numerous buildings that are not accessible to the public). There’s also a pretty flower garden at the site that you can visit. The cordial welcome and rich documentation combined with the rich history of the architectural heritage and the charm of the site would make your visit a memorable one. To personalise your visit to the city, you can use an all-inclusive Cazedarnes trip planner for the same that will give detailed information about visiting the city. Add comfortable hotels to your plan, choose from the recommended hotels in Cazedarnes like VacancÃÃÃ‚ƒÂ©ole - Le Domaine D'enserune, La Petite Grange and D'oc D'or Chambre D'hÃÃÃ‚ƒÂ´tes. Chalk out the best way to discover the city with Cazedarnes vacation packages. Check out various modes for how to reach Cazedarnes.